∫ Meet the Artists Opening Reception — 2017 Fall Art Show: The Art of Disguise: Paul Nigra Center for Creative Arts, 2736 Route 30, Gloversville 6 to 8 p.m. Free admission. An exhibit of artwork by local and regional artists. Light refreshments will be served. The show runs to Jan. 10. ∫ Guest artist Marion Kratky: Micropolis Cooperative Gallery, 30 N. Main St., Gloversville. Work also on display includes paintings, drawings, photographs, fiber art, batik, mixed media, woodwork, glass, digital art, sculpture, jewelry, and pottery. The gallery, located inside Mohawk Harvest is, open seven days a week from 8 a.m. to 7 p.m. Monday through Friday; from 8 a.m. to 5 p.m. Saturday; and from 9 a.m. to 4 p.m. Sunday. The exhibit will run through the end of October. ∫ Eileen Sammons watercolor work: Frothingham Free Library, 28 W. Main St., Fonda. Stop at the library during regular business hours to view this display. 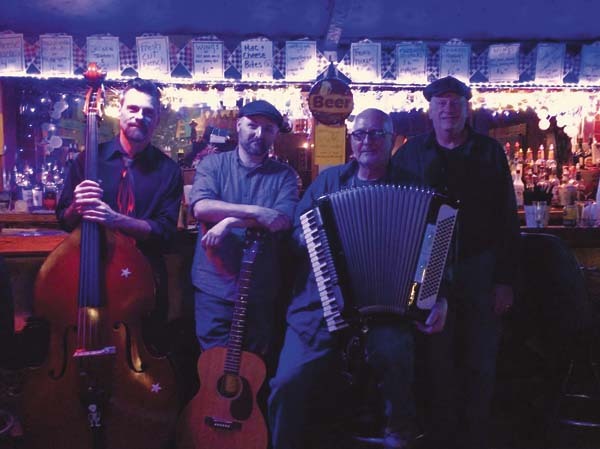 ∫ Linda Lee and the Fox Creek Band — round and square dancing: Pawling Hall, 86 N. Pawling St., Hagaman, 4 p.m. $10 cover. ∫ Sixth Annual Moosefest: Johnstown Moose Family Center, 109 S. Comrie Ave., Johnstown, 1 to 5 p.m. Cost: $10 per person; $5 for children ages 7 to 12; free for children ages 6 and younger. Tickets available at door. Open to public. The event includes food, draft beer, boxed wine and soda, and a lot of raffles. ∫ Author Susannah Risley: Gloversville Library, West Fulton Street, Gloversville, 11 a.m. to 12:30 p.m. Risley will conduct the second of three free workshops on fiction writing. This is an interactive workshop for writers of all levels. The other workshop will be listed in next week’s What’s To Do. ∫ No sew pumpkin — adult craft workshop: Gloversville Public Library, West Fulton Street, Gloversville, two session choices — one 1:30 and another, 5:30 p.m. Free workshop. To register for either session, use the event keeper link on the library’s webpage or call the library at (518) 725-2819. ∫ Tegan Thursday: Murphy’s Irish Pub, 160 W. Fulton St., Gloversville, 8 p.m.
∫ Durey Creek Bluegrass Band Concert: Paul Nigra Center for Creative Arts, 2736 Route 30, Gloversville, 7 p.m. Cost: $10. ∫ Aaron Mittler: Mountain View Distillery, 6070-6162 Route 30, Amsterdam, 7 p.m. No cover. ∫ DJ Bane: Murphy’s Irish Pub, 160 W. Fulton St., Gloversville, 9:30 p.m.
∫ Doc Orloff Duo: Aaron’s Irish Pub, 231 N. Main St., Gloversville, 9 p.m. No cover. ∫ Third Rail: Mayfield Grill, 8 School St., Mayfield, 9 p.m. No cover. ∫ DJ Jukebox Jim and Karaoke — Halloween party: Ponderosa Pines Resort, North Shore Road, Edinburg, 9 p.m.
∫ DJ Cucumber: Murphy’s Irish Pub, 160 W. Fulton St., Gloversville, 10 p.m.
∫ Todd Hobin Band with special guest FM: The Glove Performing Arts Center, 42 N. Main St., Gloversville, 6:30 p.m. General admission is $12. Beer and wine will be sold.